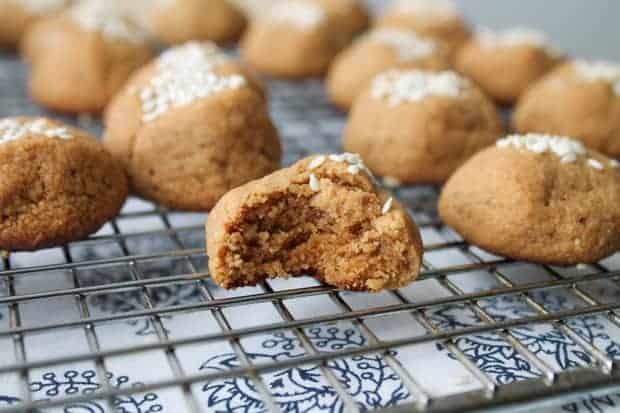 Tahini is a smooth butter made from sesame seeds and it is the star of these gluten free Tahini Cookies. 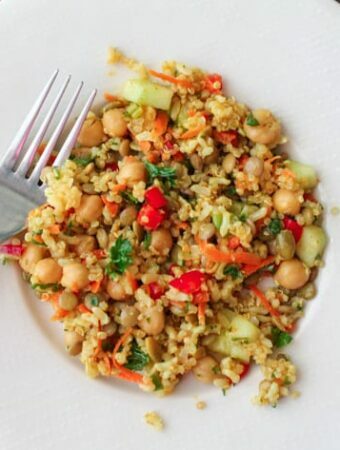 Light and puffy, this recipe makes a big batch perfect for sharing. Recently, I found myself wondering what I could do with a 1/4 jar of tahini. One can only eat so much hummus! Then I stumbled across a cookie recipe by Yotam Ottolenghi from his cookbook Jerusalem. If you’ve never heard of him Yotam is both a Cordon Bleu (London) trained chef and holds a masters degree (Tel Aviv University) in comparative literature. He has award winning restaurants and best selling cookbooks. He is a champion of vegetables. His creations in the kitchen are masterful and the interiors of his restaurants are immortalized in travel magazines. I finally stopped gushing long enough to whip up these soft, not to sweet little bites of goodness. 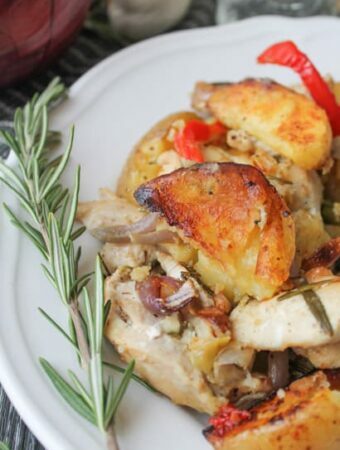 I did modify the recipe a tad to make a touch healthier and gluten free. It could be modified even further to be made vegan by subbing out the butter for Earth Balance. 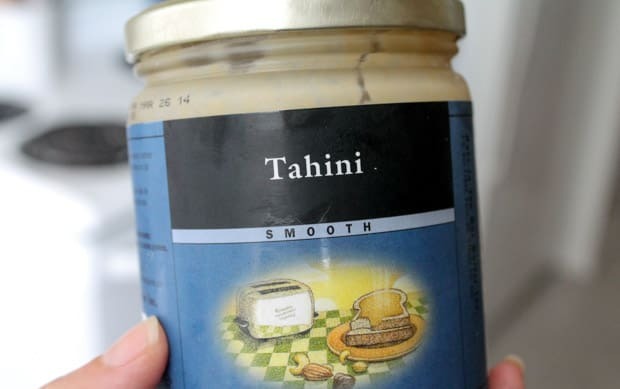 If you aren’t familiar with tahini it is a butter made from sesame seeds. Think almond or peanut butter. 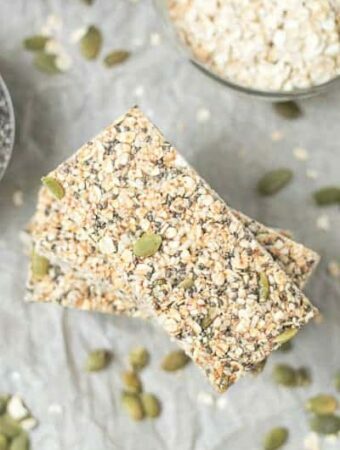 This makes this cookie a great option for those suffering from nut allergies, just sub out the almond milk for a nut free version. 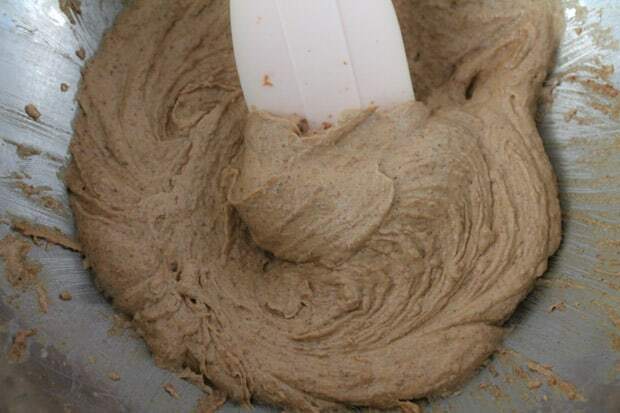 Start out in typical cookie making fashion by creaming together the butter and sugar. In my case I opted to use coconut sugar as it is less refined than the superfine sugar called for in the original recipe. Add in the tahini, almond milk and seasonings and mix. 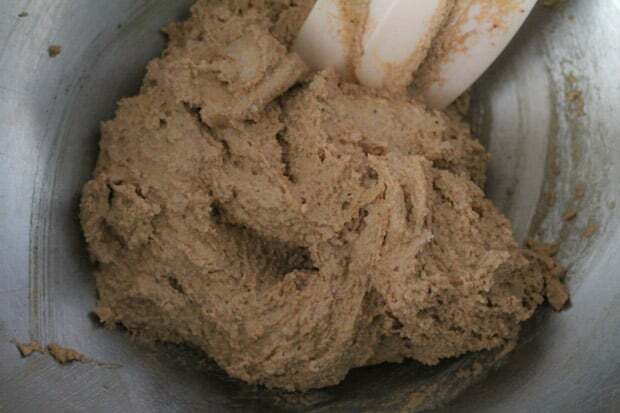 Then add in the coconut sugar and ground almonds and mix until it becomes dough like. 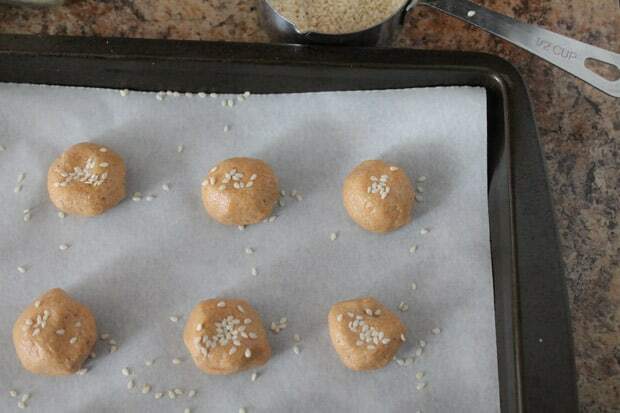 Line a baking sheet with parchment and roll a tablespoon sized amount into about 20 balls and sprinkle with sesame seeds. 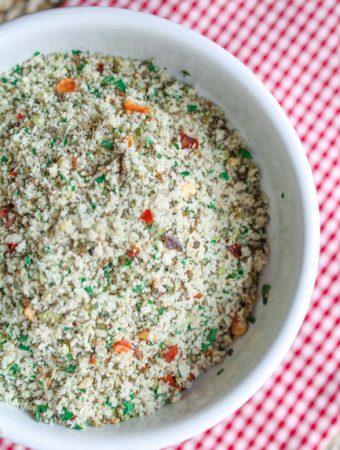 You will use 1/2 the dough for the first batch. Bake them at 375 for 8-10 minutes and watch that they don’t burn on the bottom. Once they are golden, out of the oven they come. 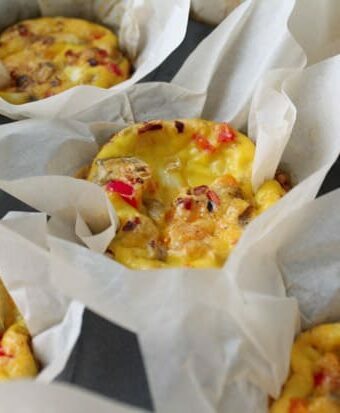 Let them cool on the baking sheet for 10 minutes before transferring them to a wire rack. Pop round 2 into the oven and repeat the process. 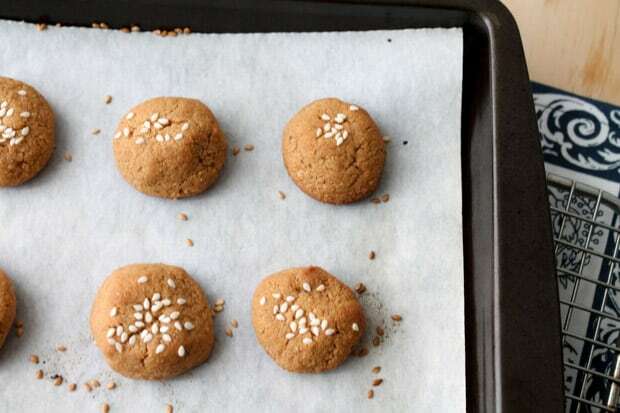 This recipe yields about 40 small cookies making them ideal for a potluck or party. 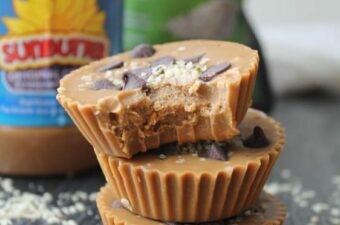 It gives a little change-up from the usual chocolate chip or oatmeal cookie and is a great way to use up some tahini you may have kicking around. Yotam is the man! 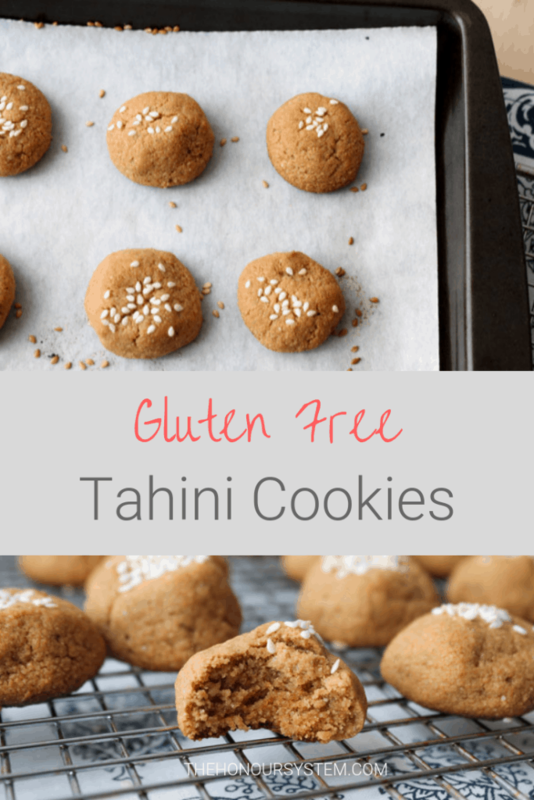 I would have never thought to add tahini to cookies, how creative! 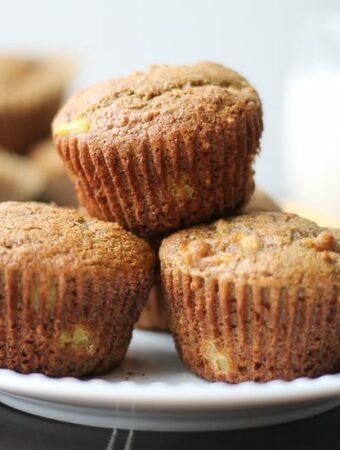 I love that you made them with coconut flour too. I am usually intimated to work with it but it looks like you mastered it with these cookies, they look moist and delicious!